Up to 300 high-density channels of vehicle sensor inputs in 0.8 cubic ft. 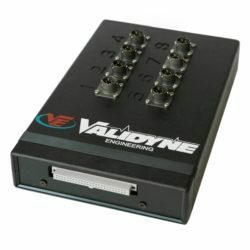 The Validyne VDAS integrates all your data acquisition requirements for vehicle testing into one compact, rugged system. 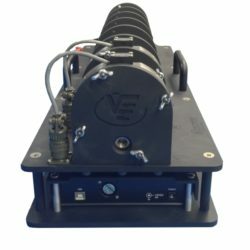 Up to 300 vehicle sensor channels can be accepted by the VDAS so that time consuming change-outs of instrumentation packages can be minimized. The same VDAS is easily shared by several test groups; system configurations can be saved and re-loaded as needed. The VDAS is optimized for vehicle thermal testing. Each thermocouple plug-in module accepts up to 20 J, K or T sensors and provides a linearized, cold junction compensated reading accurate to 0.1%. The same module can be configured by software to accept voltages from 50 mV to 50 V full scale, in 4 different ranges with 16 bit resolution. The strain gage module accepts up to 10 inputs with selectable 5 or 10 Vdc excitation. Lead wire compensation is supported with 5-wire input configurations. Bridge completion and shunt calibration resistors may be connected to user accessible screw terminals. The strain gage module features programmable full-scale ranges of 4, 8, 16 and 32 mV/V. The accuracy is ±0.025% with 16 bit resolution over the selected range. 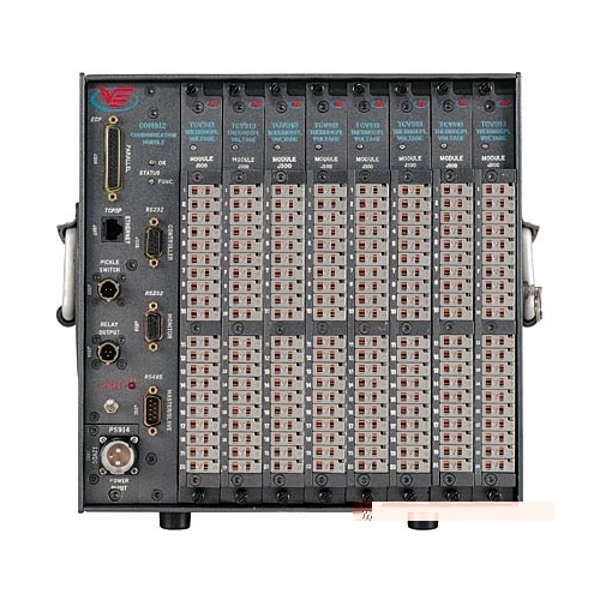 The frequency input module accepts up to 8 inputs of ±10, ±50 or ±500 V (peak) and can be configured to measure pulse width, duty cycle, counts and frequency in Hz. The range is 0.5 Hz to 100 KHz. The VDAS system comes complete with PC software for setup and data recording that runs under Windows. All channels are configured with a spreadsheet-like setup screen and include parameters such as name, sensor type, scaling formula, triggering thresholds, DSP settings and optional alarm points. Real-time data screens with selectable font sizes provide user-friendly viewing of critical measurements during road testing. A bar graph display is also available for selected channels. All data is stored to the PC hard drive. Any laptop PC can be used with the VDAS for maximum flexibility and fast, on-site data analysis.